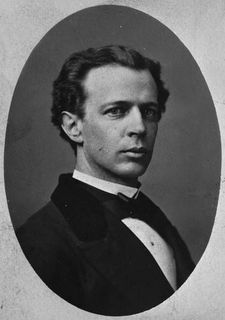 Having demonstrated his leadership abilities during the summer campaign of 1867, Laurier was approached for the political election of 1871 and became a candidate for the county of Drummond-Arthabaska. The election period ran from May 28 to July 11. Laurier’s campaign was heated and confirmed his strength and determination. His charisma and talent as an orator established him as a politician who would be worthy of mandates at the National Assembly. On July 11, 1871, he was elected a member of the provincial legislature for Drummond-Arthabaska by 750 votes. It was the start of 48 years of political life. From his first week at the National Assembly on the parliamentary hill in Québec, Wilfrid Laurier discussed social and political fields, industry, industrial immigration, and the foundations of progress and prosperity in Quebec. Before long, Laurier became bored with the parliamentary hill and began to set his sights on Parliament Hill in Ottawa. The Canadian Confederation divided federal and provincial powers. During this period, the provincial governments played a subsidiary role to the central government. Since few funds were allocated to provincial projects, provincial members of legislative assemblies had little power to take action and achieve things. 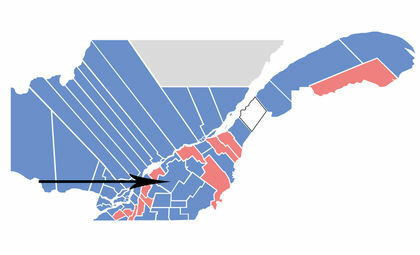 On the parliamentary hill in Québec, the seats were occupied, for the most part, by businessmen and wealthy families living in the city of Québec for whom money and power went hand in hand. In the division of powers, the federal government kept the lion’s share of rights and powers over Canada’s development. The provinces were left to manage schools and open up new regions. From 1867 to 1874, it was possible for one man to be a member of a provincial legislative assembly and a Member of Parliament or senator in Ottawa. These members had double mandates and were bound to sit in both assemblies. Quebec was the last province of Confederation to withdraw this privilege from its members. In addition, the members preferred to sit in Ottawa, leaving the provinces with fewer members in the their respective assemblies during sessions.